The Friction Materials Standards Institute (FMSI) has updated its database to include information on whether the original brake pads from the OEMs utilize mechanical attachment methods to secure the friction material to the backing plate. 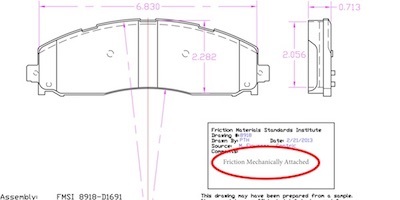 FMSI has identified 42 D-numbers (brake-pad part numbers) that come from the OEMs with mechanical attachment. The part numbers and associated applications represent about 30 percent of the cars, trucks and school buses on the roads in North America, according to the institute. 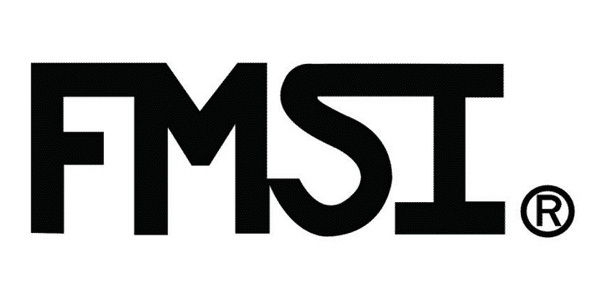 The Global Brake Safety Council (GBSC) lauded FMSI for sharing “this very vital information” with North American manufacturers and suppliers of aftermarket brake pads that utilize the FMSI numbering system. The council believes mechanical attachment for brake pads is a serious safety issue, comparing it to rebar in concrete. Just like rebar-reinforced concrete, mechanical attachment in a brake pad isn’t visible. Mechanical attachment is required on specific applications for high loads in which adhesive alone would lead to pad failure in OEM testing. Industry awareness and FMSI’s recognition of the issue will help improve the safety and quality of aftermarket brake pads across North America, the Global Brake Safety Council says. 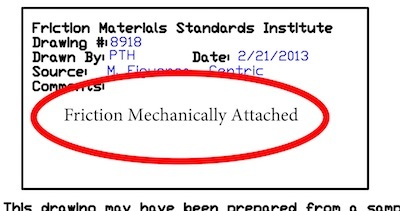 According to a recent technical bulletin from the council, the OEMs specify mechanical attachment to meet performance and safety requirements for a vehicle platform. Aftermarket replacement brake pads need to duplicate this feature, and removing the mechanical attachment feature will compromise the structural integrity of the entire brake system, according to the bulletin. The council encourages anyone in the supply chain of selling to North American aftermarket brake pads to join the Friction Materials Standards Institute.